Features paired with a cheese knife. Uniquely designed for efficient use. This Set Charcuterie Favorites Board w/ Meat & Cheese Set comes with a custom laser engraved cutting board. Feature an elegant set of gourmet meats. 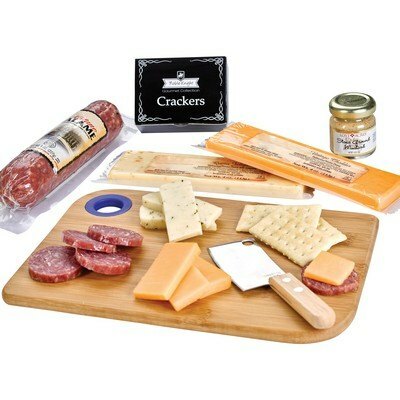 Include dry-cured salami, assorted cheeses, cheese knife, crackers, and gourmet mustard. 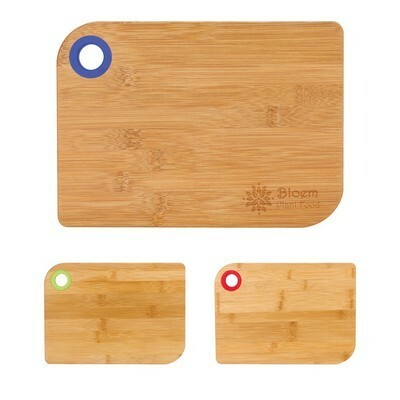 Available in an attractive bamboo color. 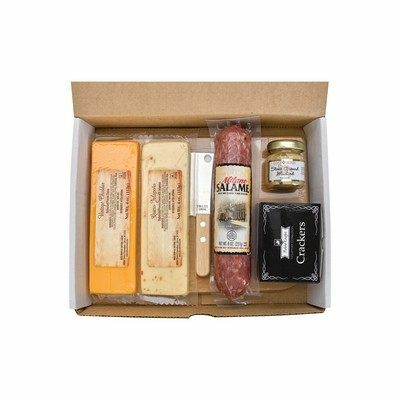 Excellent food gift set for any customers for the holidays or Christmas. Generate some excitement for your business with this product as a part of your next campaign.